Clove buds are one of the most powerful antimicrobial and antifungal spices known. The powder can be used in cooking, added to toothpaste or tooth powder to reduce sensitivity, especially where there are oral infections and inflammation. Cloves are not a traditional ingredient in Chyawanprash but they are added to most products sold on the market today. Cloves are chemo protective, the mode of action being that they aid detoxification from carcinogens. Ingredients: wildcrafted Syzygium aromaticum powder. Gotu kola is an adaptogen with a specific effect on the mind, helping to maintain focus, memory, and concentration. It is believed to support the cells of the brain in a manner that is calming rather than stimulating. It also supports the adrenals and protects against both physical and mental fatigue. 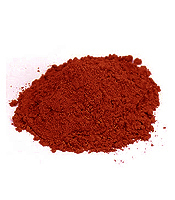 It also restores luster to the hair and skin and is even used in obstinate cases of leprosy and other skin diseases. It is also considered helpful with tubercular lesions and urinary tract infections. 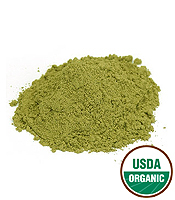 Ingredients: certified organic Centella asiatica herb powder. This herb is similar to European chaste tree; however, it is used quite differently in that even celibate yogis in India seek to have perfection in their reproductive system. Nirgundi is hence used to retard aging and promote virility. 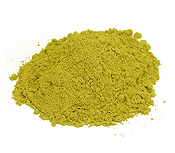 Ingredients: wildcrafted Vitex negundo powder.